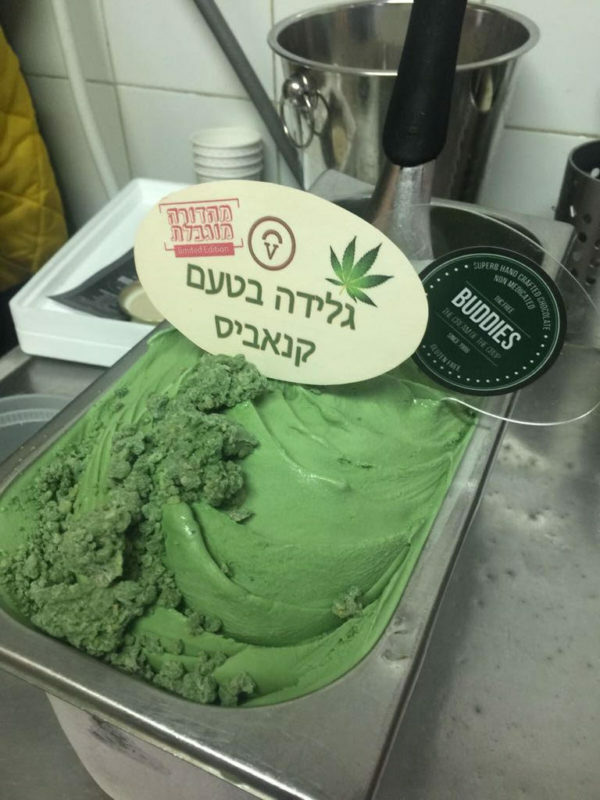 Itay Rogozinsky with cannabis-flavored ice cream in Tel Aviv. Photo courtesy Vaniglia. 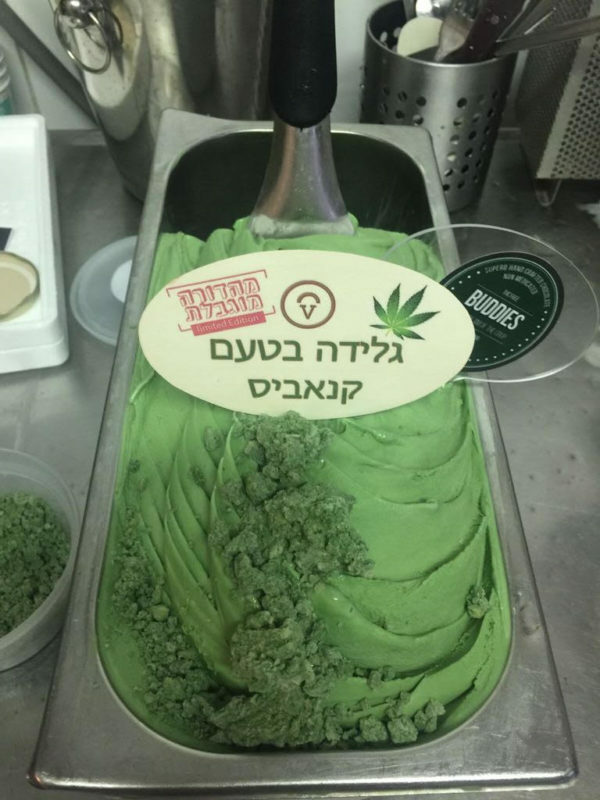 Cannabis-flavored ice cream is ready to serve at Vaniglia in Tel Aviv. Photo courtesy Vaniglia. Ice cream infused with cannabis or flavored with terpenes seems to be popping up everywhere this summer. From North Carolina and Oregon to Canada and Israel, dessert makers are looking to cannabidiol (CBD) oil and hemp oil to elevate their normal ice cream selection. The taste of cannabis is an enigma, as the plant is usually inhaled or mixed into a more dominant flavor (pot brownies, for instance, taste mostly of chocolate). To craft a true cannabis flavor is a challenge some chefs and food entrepreneurs are now trying to master. “Ask people what cannabis tastes like and no one knows. People don’t eat it. 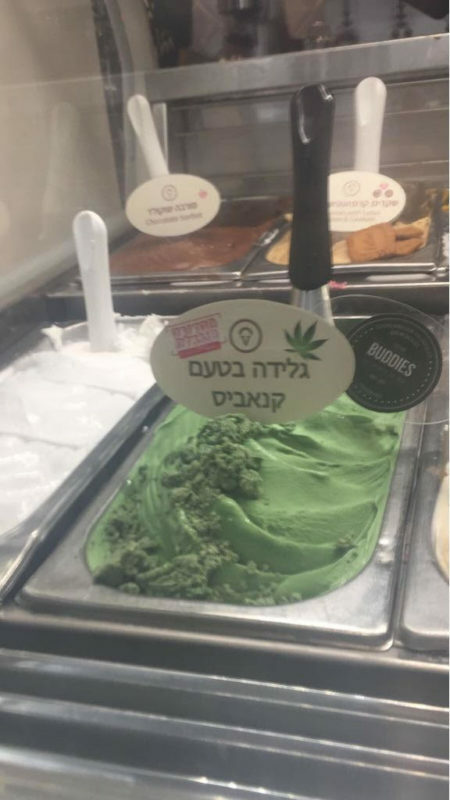 To create a cannabis flavor for ice cream, I realized that I had to learn about the marijuana plant and its different terpenes and aromas,” said Itay Rogozinsky, owner and chef glacier at Vaniglia, a popular Israeli ice cream chain. Rogozinsky, 34, is known for his high-quality gelato and sorbet flavors. The Vaniglia brand, which started in 2002, has became known for its locally sourced ingredients. Vaniglia’s flavors also change regularly. The most popular in 2018, Rogozinsky says, are hazelnut, pistachio and fruit sorbets like strawberry and mango. 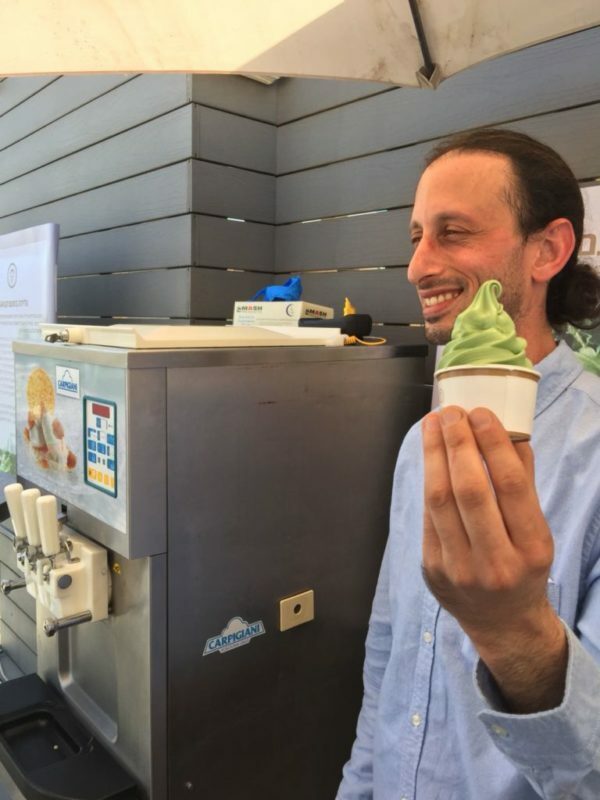 He introduced the country’s first cannabis-flavored ice cream in March of this year. The green dessert blend comprises cannabis terpenes, hemp seed oil and chlorophyl. 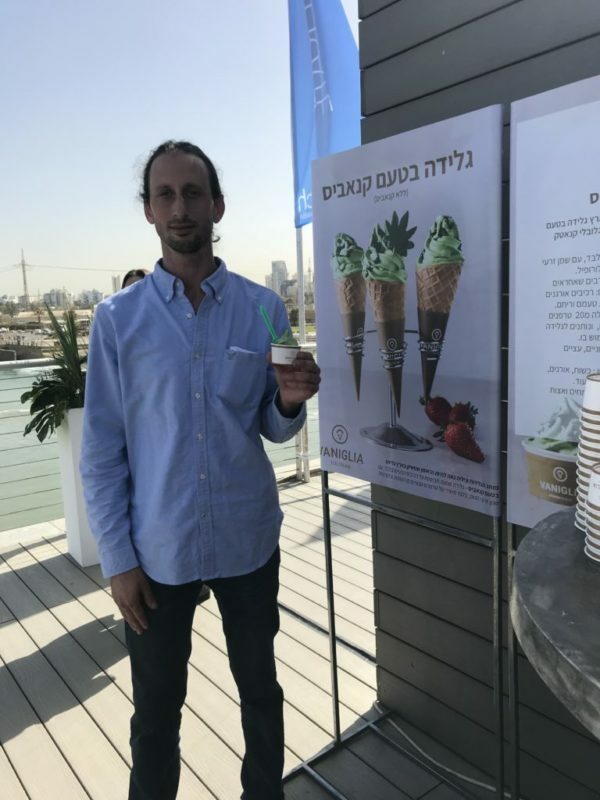 Vaniglia debuted its cannabis-flavored ice cream at the CannaTech cannabis innovation conference. Since then, the flavor has been met with some interest. Israelis are known for being early adopters and willing to try new things. 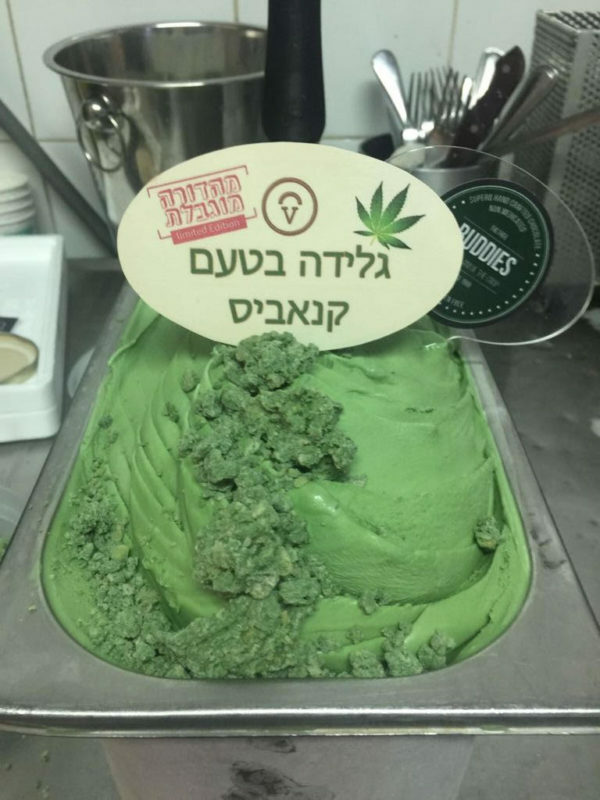 Cannabis-flavored ice cream was no exception. “It’s like guava: Either you like it or you don’t. Most people are surprised for the better. It has a bit of a nutty taste,” Rogozinsky says. His company’s gelato is part of a growing trend of artisanal creameries eager to scoop up cannabis-flavored — and even CBD-infused — ice cream. Cannabis-infused ice cream makes sense, says pharmacist Saul Kaye, because CBD works well with fatty acids. In the United States, CBD-infused edibles are legal if they’re derived from hemp. In Asheville, North Carolina, a popular ice cream café, The Hop, introduced CBD oil hemp milk as a new base for its ice cream flavors in late June 2018. Other flavors on the vegan ice cream menu use rice milk, coconut milk and even pumpkin seed milk, according to information shared by the company. Some producers are starting to add THC, the main psychoactive constituent of cannabis, to ice cream for a more complete cannabis experience. Drip’s THC-infused ice cream seems to be a hit in Portland, Oregon. In San Bernadino, the Cann Eye Dream brand serves up a lavender-vanilla vegan ice cream with 100mg of CBD and 5mg of THC, according to a report in Dope Magazine. Far to the north, Remedy Ice Cream in Calgary, Canada has a medicinal cannabis ice cream treat on the market — but only for those with a prescription. Rogozinsky of Vaniglia says he won’t use THC in his desserts. “I don’t believe in using THC. 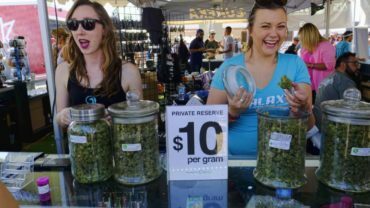 I think it is dangerous unless it is used for a medical marijuana ice cream and has a specific dosage,” he says. While it has the distinct cannabis flavor, Vaniglia cannabis ice cream does not contain CBD. Yet. “This ice cream is legal. The moment CBD oil is legalized — we already know it’s a great ingredient with a lot of uses — we’ll for sure add it to our ice cream. There’s a huge demand in Israel and around the world. We’re waiting for the regulators,” he says. As cannabis continues to gain mainstream support, ever more products are claiming ties to the green leaf. With CBD-infused beer, water, and vitamin drops already on the market, it seems cannabis oil is becoming one of 2018’s chic ingredients. “The World Health Organization is about to reschedule CBD. It has been misunderstood and shouldn’t be classified as it is. It is 100% safe,” says Saul Kaye, chief executive of iCAN Israel-Cannabis, a pharmaceutical company that invests in cannabis products and solutions.